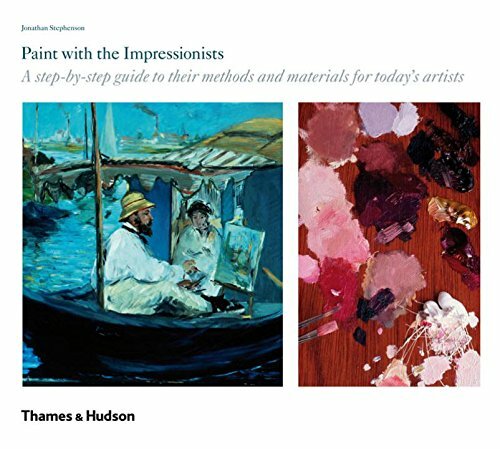 This is an interesting book for those who want to learn more about impressionism and its techniques. It's a 160-page hardcover authored by Jonathan Stephenson, first published in 1995 and recently reprinted in 2015. The book starts off by talking about the impressionism movement, the artists, their tools and techniques. Then it jumps into the tutorials that cover landscapes, water scenes, still life, figures and portraits. The many full length tutorials are created and painting with impressionist techniques as focus. There's no copying of actual impressionist paintings. The examples are original paintings. These are oil and acrylic tutorials by the way. You can sort of follow along if you want to because the tutorials are quite detailed and includes information on the exact colours used. The text talks about the techniques and the step-by-step pictures show the process until the end. The examples look good. The main highlight of the book is there's a lot of depth. There's a lot to read about the details that impressionists have put into their paintings. While all these are from the author's interpretation, there's still much to learn. Different artist would interpret the old works a bit differently and that's fine, and that's what art is all about. You do need to have some basic knowledge on painting in order to get the most out of the tutorials.